There are many human foods that are poisonous for dogs. These are often accidentally consumed when a dog finds candy in a pocket book or left on a counter. They are also known to eat toxic foods when rummaging through garbage, exposing dogs to poisonous foods as well as bacteria, mold and endotoxins (contained in bacterial cells that enter the dog). The best approach is to avoid feeding human foods to dogs. Click on the links below for information on specific types of food toxic to dogs. Since the symptoms are similar for multiple types of food poisonous to dogs, see your veterinarian if you see any of the aforementioned symptoms. Cases of severe poisoning can result in death so take immediate action. If you believe your dog has eaten food from the garbage (or a dead animal that was in the garbage), the best advice is to immediately induce vomiting. Consult with a veterinarian or emergency poisoning hot line before inducing vomiting to confirm that this is the best course of action for your dog. Provide 1 teaspoon (5 ml) for every 10 pounds of body weight (4.5 kg). Syrup of Ipecac is not recommended. To restore stomach health you can use Pepto-Bismol (bismuth subsalicylate) every 12 hours for 2 days. The dog pepto-bismal dosage is .5 to 1.5 ml per pound of body weight. Check with your veterinarian to confirm the recommended dosage for your dog. The Pepto can be administered via a syringe. Tablets are an acceptable alternative. As your dog recovers from food poisoning, you can provide added support with a natural supplement such as Detox Plus. Also provide water to restore hydration. 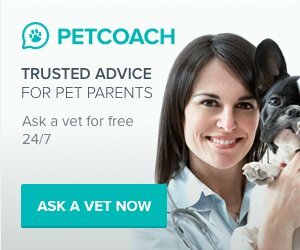 To ask questions for free on a non-emergency basis, enter your question here and our veterinarian will reply on a first come first served basis. Do not use this free service for emergency recommendations.